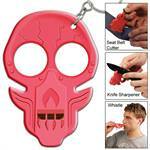 Zombie Clobbering Skull 2 Finger Self Defense Knuckles Black. 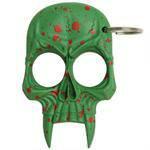 Feast your eyes on this well-constructed two finger hole Zombie Clobbering knuckle. Feast your eyes on this well-constructed two finger hole Zombie Clobbering knuckle. 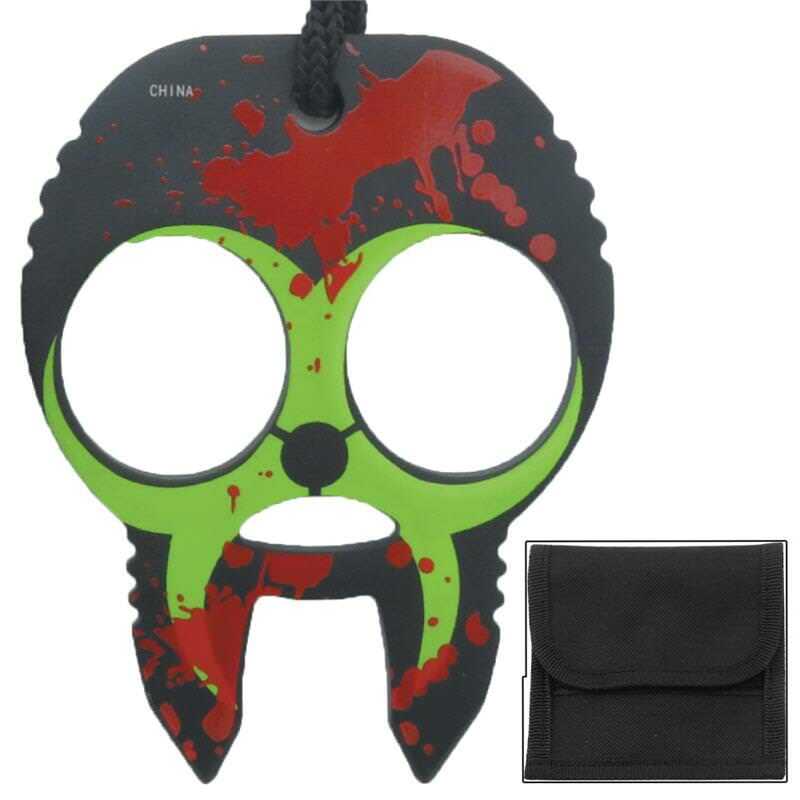 It features a solid steel construction made from one piece of steel, painted in a dull black color with splattered red pain and a green biohazard symbol around the eye socket and fang. 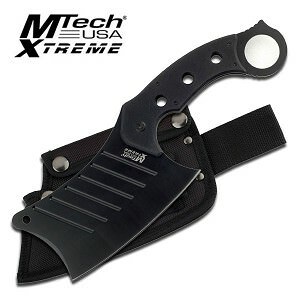 It offers two large size finger holes and a comfortable rise on the skull which sits perfectly in the middle of your hand giving you more leverage for clobbering your attacker. 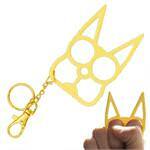 This perfectly designed self-defense knuckle is great for anyone looking to protecting themselves from any attackers. 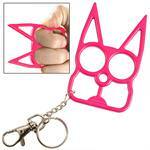 The two protruding fangs are deadly on this perfect self-defense weapon. Each fang is pointed to perfection making this 2 finger knuckle the #1 choice for a light weight, close combat self-defense weapon. It comes with a lanyard cord and a very durable nylon case which comes with a belt loop and Velcro closure.